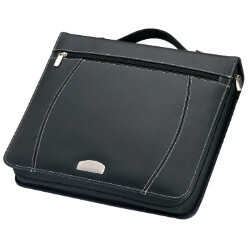 Thank you for your interest in our Crisma Ringbinder Folder. Please complete your details on the 'Quick Quote' form and click the Submit Button at the bottom of the page. 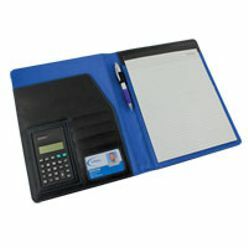 A customer service consultant will contact you about the Crisma Ringbinder Folder with a quotation. 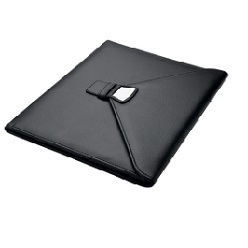 Zip around bonded leather folder with A4 note pad, calculator and several compartments. 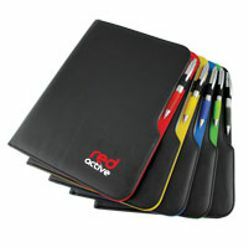 Features a removable ring binder insert and carry handle.